On the invitation of the Société Nautique de Saint-Tropez, nearly 4,000 sailors stocked up to the brim with the images, emotions and memories that coloured the packed week of extraordinary, timeless racing. It will certainly be enough to keep them going for the rest of the year, until they can return to the gulf of Saint Tropez once more in late summer. True to its inimitable spirit of sporting kinship, built around an unchanging passion for beautiful sails and stunning hulls, the 20th edition of Les Voiles de Saint-Tropez once again served up its usual magic in all weathers and all languages amidst a blend of styles, yachting eras and classes of yacht, painting a rare and unique spectacle each and every day in the sublime setting of the gulf of Saint Tropez. The traditional prize-giving gathered together crew members and adversaries one last time, in a festive and joyful communion, which already augurs well for the future encounters in the 20st anniversary of the event in 2019, which will be celebrated in style from Saturday 28 September to Sunday 6 October. Be sure to free up a space in your agendas for these dates! his was surely the highlight of this 20th edition of Les Voiles, the 130th anniversary of the Dragons, a legendary signature of the Fife family saga, which gave rise to an exceptional jubilee rewarded by the prestigious Rolex Trophy. Competing altogether for the first time in the Mediterranean, 20 sumptuous yachts designed by the Scottish genius from the golden age of yachting, gathered together this year in the port of Saint Tropez. And on this very special occasion: gaff and Bermudan schooners and cutters benefited from their own start, resulting in a truly unforgettable spectacle. Ultimately, it was the gaff cutter Viola, which masterfully took the win, adding her name to the long list of Rolex Trophy winners on her 110th anniversary, the yacht having been launched in 1908. Success in the « Petites Voiles » Another major new feature of the 20th edition of Les Voiles, the « Petites Voiles » debut, was organised on Wednesday right in the middle of the Port of Saint Tropez. On the initiative of Tony Oller, in partnership with the support team, 23 young girls and boys aged 6 to 12 from the Société Nautique de Saint-Tropez’s brand new dinghy sailing cluster had their moment of glory racing on Optimists in front of a huge crowd of Les Voiles fans and their very proud families. 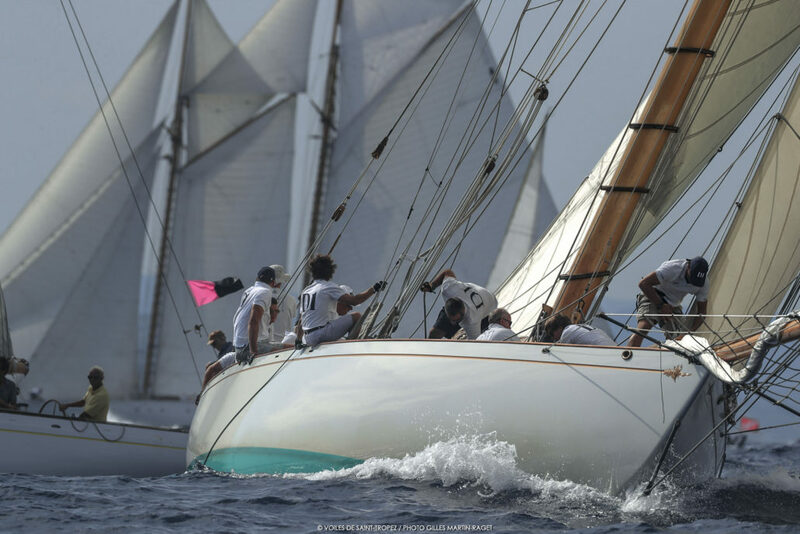 http://www.lesvoilesdesaint-tropez.fr/les_voiles_de_saint_tropez/wp-content/uploads/18VSTD7_1877.jpg 1417 2126 SNST99@beauVAR-83 http://www.lesvoilesdesaint-tropez.fr/les_voiles_de_saint_tropez/wp-content/uploads/vdst2017siteOK.png SNST99@beauVAR-832018-10-07 19:13:282018-10-07 19:13:28All set for a great 20 years birthday!